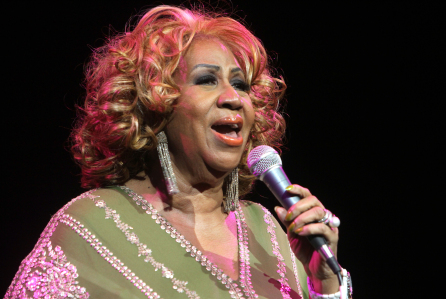 (Richmond, IN)--Aretha Franklin's death on Thursday prompted memories of her visit to Richmond by some of the 6200 people who attended her concert at the Tiernan Center back in 1999. Ginger Gray helped to organize that concert. She said that Aretha Franklin had a lengthy rider on her concert contract that caused local organizers to turn the boys locker room at the Tiernan Center into a first-class dressing room, complete with furniture brought in by Bullerdick Furniture. Franklin’s appearance in Richmond was part of the Legends Concert Series.